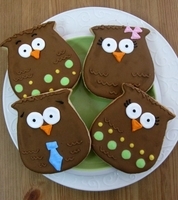 Our Birth Announcements are unique, trendy and almost as SWEET as you new bundle of joy! Your baby has just been born! Probably the most exciting day in your life! 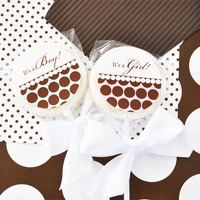 Spread the news with one of our Birth Announcement candy bars, or other SWEET treats! 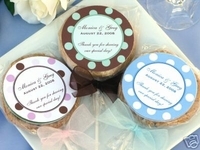 Choose from our adorable designs below for custom birth announcement favors! We can ship as soon as next day in most cases. 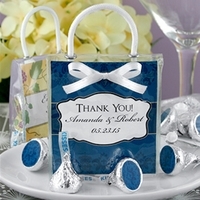 Please contact us if a custom candy bar wrapper is what you had in mind! Email us at info@candyundercover.com or call us toll free at 877-235-2828 and we will gladly assist you. 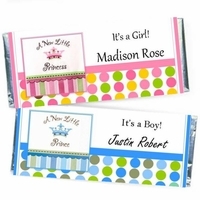 Our unique birth announcements will even make the recipient pleased!